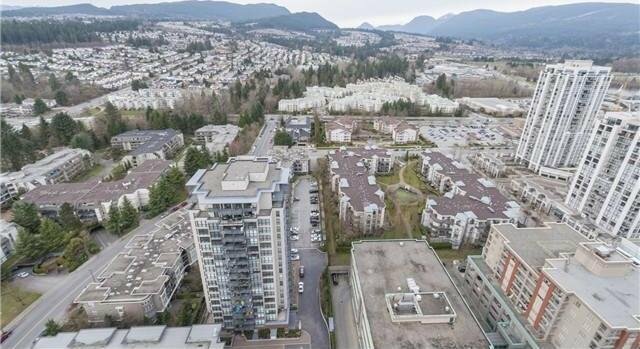 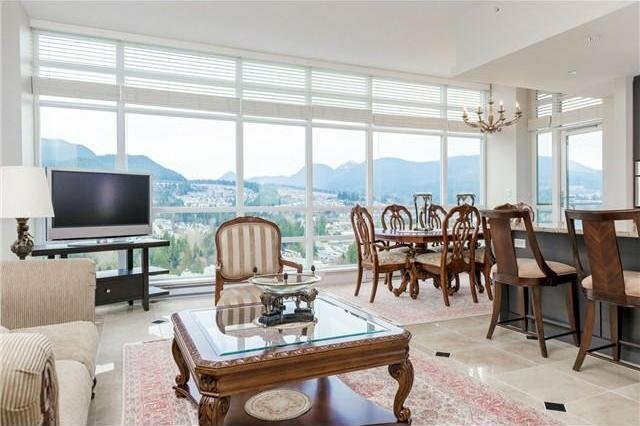 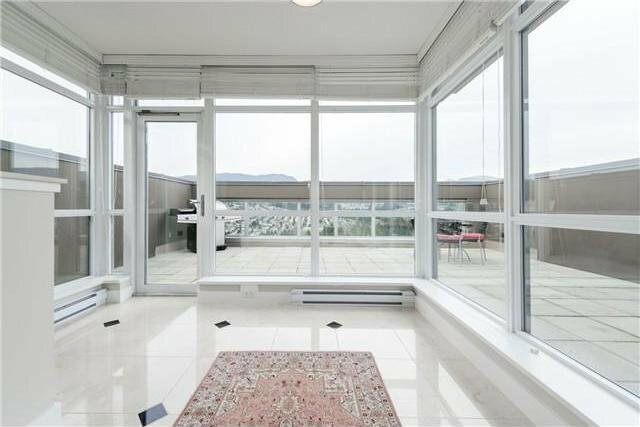 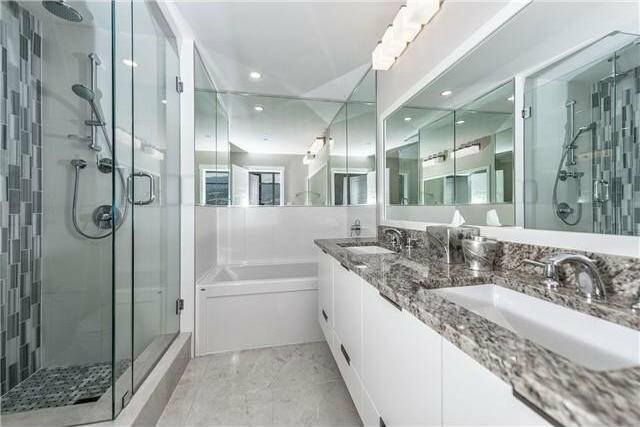 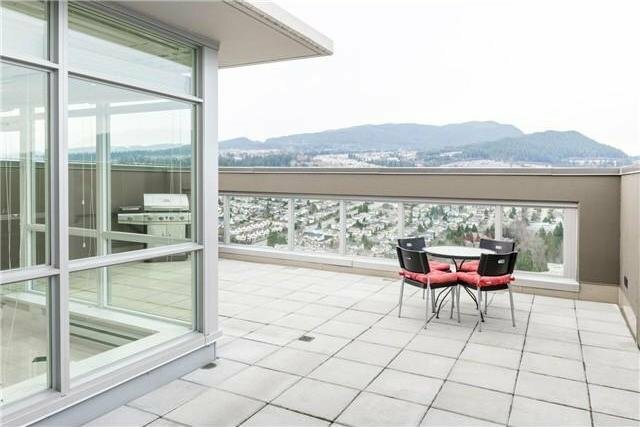 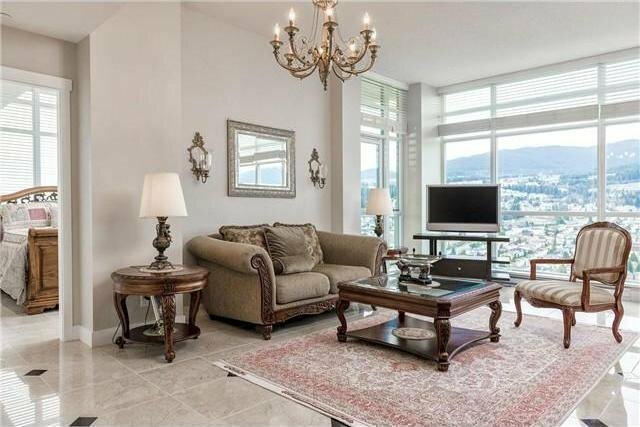 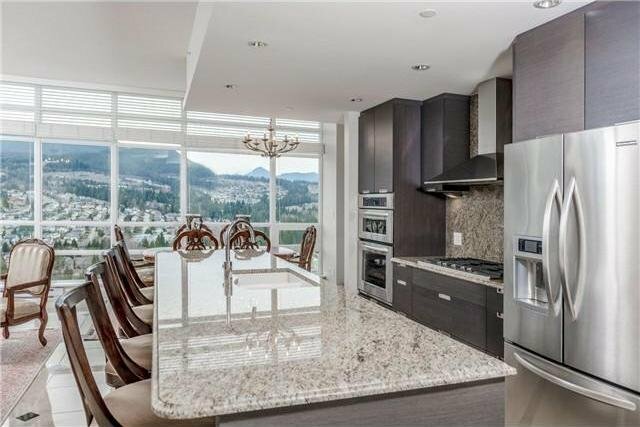 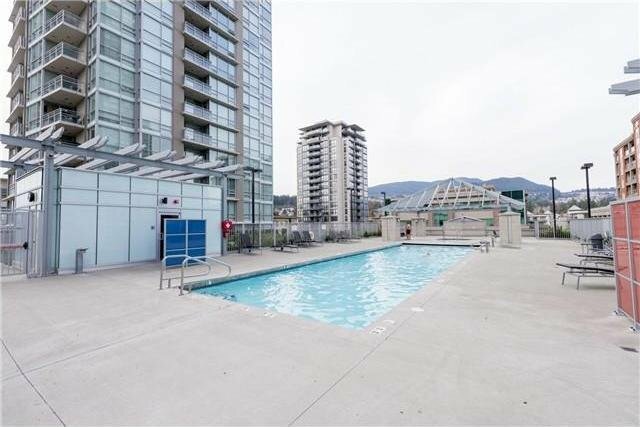 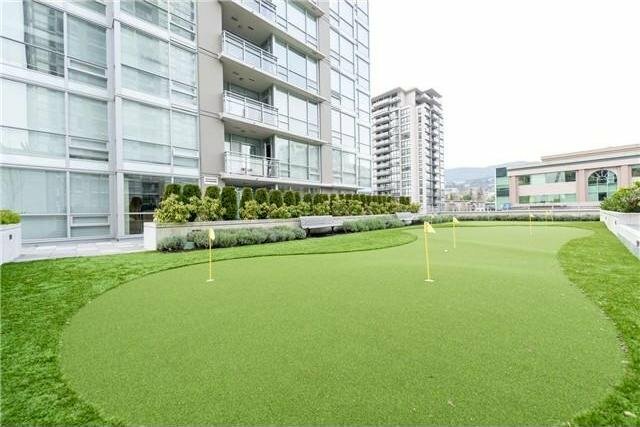 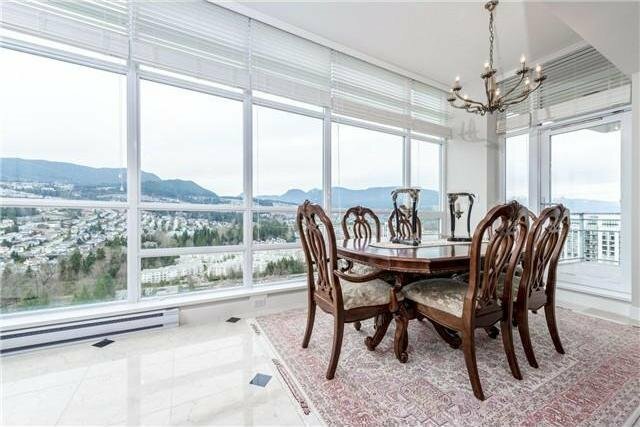 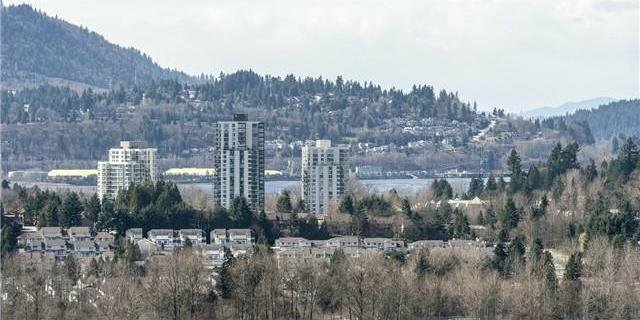 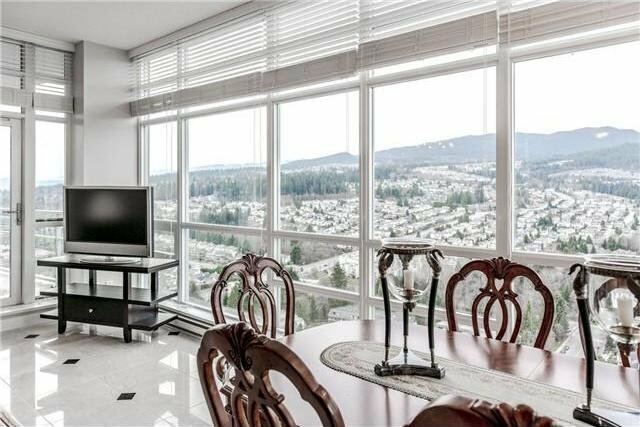 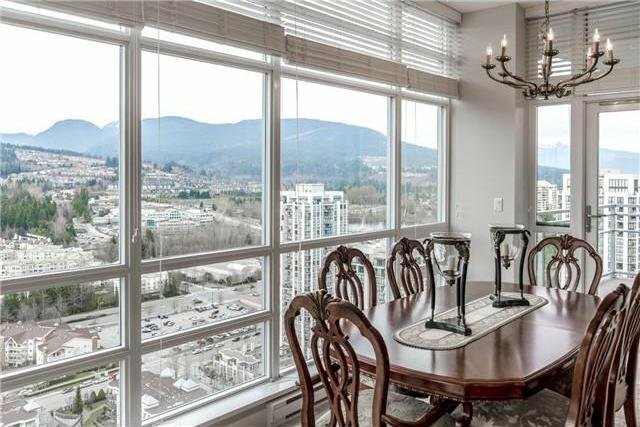 Unique Penthouse: Great floor plan & the magnificent view of Lafarge Lake, Burrard inlet city, Mountain along with superlative finishing of this 2 level unit is outstanding. 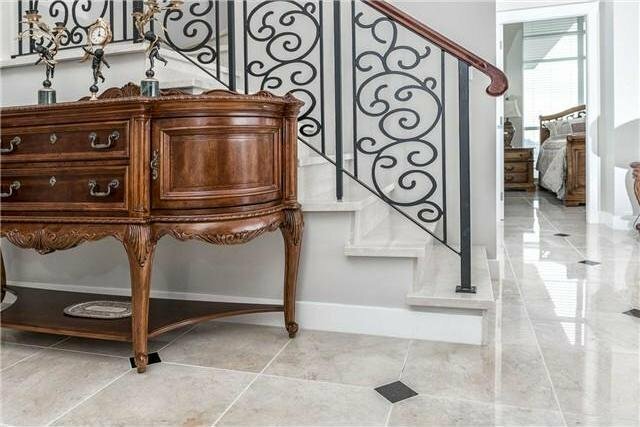 Custom design & remarkable finishing such as Italian marble throug hout the entire 2levels of this home are exceptional. 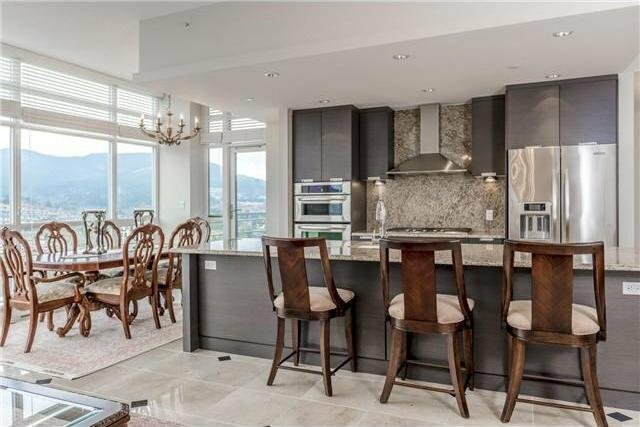 High end kitchen upgraded with a great attention to detail. 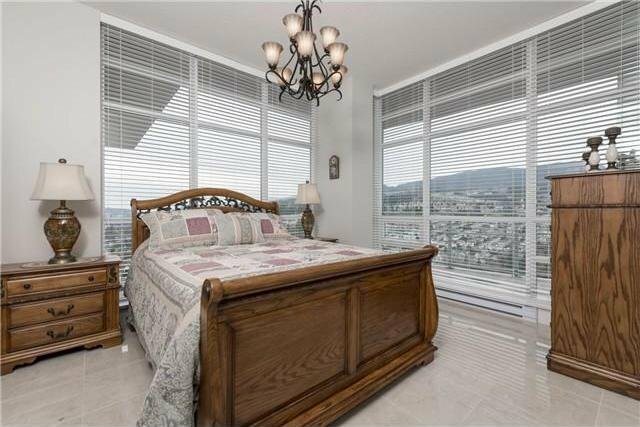 Floor to ceiling windows offer ample natural light & scenery...huge master bedroom with a modern ensuite & custom shelved walking closet, the 2nd bedroom with the lake view. 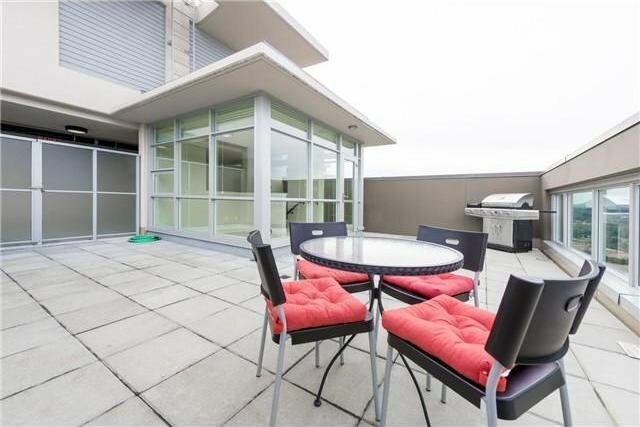 A fully marbled den on 2nd floor provides you more peace & tranquility while enjoying the sun & the rooftop deck around your penthouse. 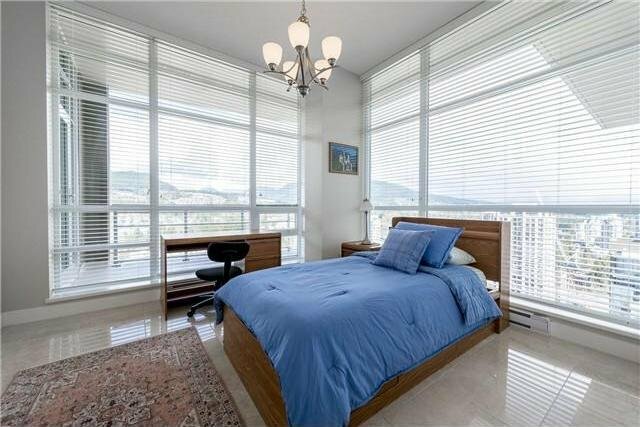 Bonus:2 more balconies in main floor, real wood blinds in both levels.